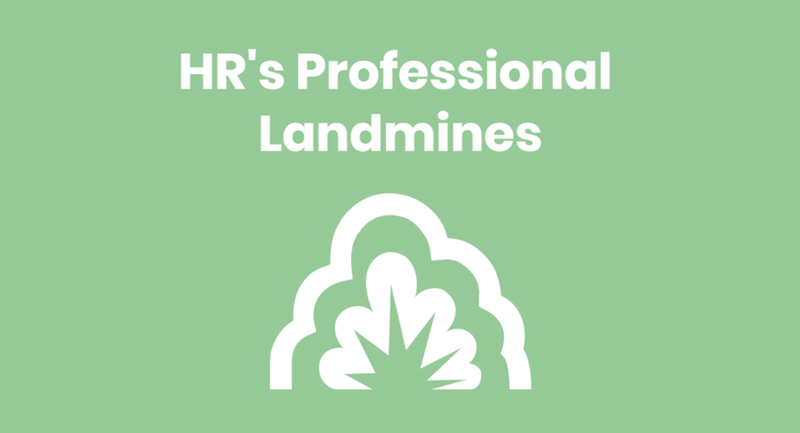 There are many land mines all HR professionals need to navigate. It’s really important that HR professionals remain neutral. Leaning towards management is a common issue and often one that has very understandable reasoning behind it. You are employed by the company after all. But constantly backing one team can leave you with little trust and respect amongst employees and failing to critically evaluate company policy and decisions can only lead to more issues. HR as business partners should always been open to critique and suggested improvements to the way the business works. As good as your company is chances are it’s not always right and it’s any professionals aim to advise fair solutions. Getting too emotionally involved in employee relations cases can be the flipside of this issue. Whether it’s a friendship with an employee or empathy for their situation; not taking a step back to get perspective can stop your professional self from making impartial decisions. It’s not fun being alienated from your colleagues but at the end of the day HR needs to be able to act as a neutral party to advise the best solution to the problem. Sometimes an issue just needs a sympathetic ear to be resolved. Frustration is normal and especially within large organisations it can be easy for employees to get lost in the crowd. As such, paying attention to employees and giving them space to air their grievances can help in avoiding a larger issue later on. Ideally managers can handle this but when an issue relates to management you may be their only out. As busy as you might be you will be far busier if you don’t create time for short meetings with exhausted employees. Once you’ve listened you’ll have a better idea of what concerns the employees at the time. A frequent concern for employees is lack of communication or transparency either from yourself or the company itself. Basic gestures such as sending communications about incoming and outgoing employees, alerting employees to new training programmes, and highlighting any employees who have done well in the last quarter can go a long way to help positively improve the office mood. Also consider a notice board with posters on events and benefits available to employees – something for them to read in the kitchen as they get their coffee, perhaps? Find a way to keep yourself visible and vocal to the workforce. What are your personal landmines? How do you avoid them? Have I missed any from my list? Let me know in the comments.